How Can I Try Clay Shooting? It couldn't be easier to have a go at clay shooting and discover for yourself just how much fun it is! You won't need any special clothing or equipment. Just find a convenient clay ground that offers introductory lessons for beginners, call them up and book a session. You can go alone, or it can be more fun and relaxing if you book with friends or a family member. Indeed, many people's first experience of clay shooting is as a group, perhaps on a corporate event or a stag or hen do. It needn't be expensive; most grounds offer special introductory rates for beginners, with prices starting from as little as £25 including clays, cartridges, use of the gun and other equipment. There are CPSA certified grounds and instructors all over the country, so there's bound to be one nearby. Use the 'Find a Club' search page to find the most convenient location for you or alternatively have a look at our Shotgun Skills courses which are an excellent introduction to the sport! The instructor has been fully trained and qualified, so you're in good hands. They will provide all the equipment you need, including the gun, cartridges, safety glasses and hearing protection. Just turn up in comfortable outdoor clothing and leave the rest to them. You'll find that safety is their No.1 priority and they are in control at all times. They will make sure you are fully protected and comfortable, so you can concentrate on hitting those clay targets! 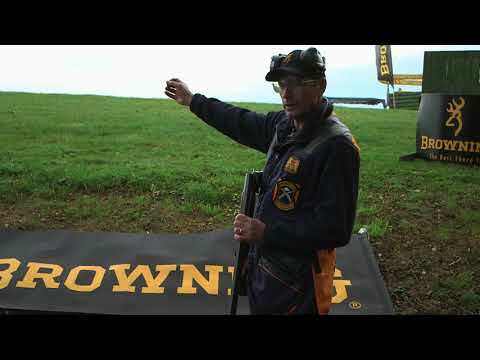 The clays can be elusive at first, but with a bit of expert guidance from your instructor you'll soon be hitting a few. That's when you discover that the thrill of clay shooting can become quite addictive! Once you've tried clay shooting we're confident you'll be keen for more. Every clay shooter was a beginner once, so we know how easy it is to get hooked! You're embarking on an exciting journey that could turn into an absorbing hobby or take you all the way to competing at the highest level on the international stage. Where you take your shooting is up to you - and, as the sport's national governing body, we're with you all the way. Eager to find out where you can try clay shooting out? Click here to read more.